Southern Living: Preppy Style: National Lilly Day and Lilly Snack Bags! National Lilly Day and Lilly Snack Bags! Lallie and I had so much fun getting all dressed up this morning. Here's what we are wearing today (sorry for the lighting on my picture - the sun blazes into my bathroom in the morning). I am wearing an older Lilly dress called Pink Tile Patch with spaghetti straps that tie on top, a pink Lilly cardi, pink McKims and my pearl jewelry. Lallie is wearing an adorable little knit jersey dress that I've had forever and she is still barely fitting into it! She wore it once in January when we went to the keys. I just love it! I made this adorable little snack bag to sell on my Etsy shop out of a Lilly oilcloth apron, but I only had enough fabric for one, so I decided to keep it! I am, however, going to be making Lilly snack bags out of these capris. They don't fit me well at all and I've been trying to sell them but no one seems to want them. So, I am going to make snack bags/makeup bags/purse bags/crayon bags (whatever you want to call them). I will have 10 available for $7.00 each + shipping ($1.50) - possibly 12. I will take orders now, first come first serve! Comment (to be fair that it is first come, first serve) and let me know and I'll send you an email and a paypal invoice. Please pay within 24 hours and I will send out thereafter. I will be working on these tonight and tomorrow, so they'll be available almost immediately! Tomorrow, weekend and Lallie update! You both look adorable in your Lilly! Happy Lilly Day! I love that little snack bag - too cute! Love the dress....both of them. You are so smart to be able to come up with new ideas for old items. There is a saying I love that says "Use it up, wear it out, make do, do without." Who would ever think to make baggies, etc...out of a pair of pants. Very smart! I'd love to have a Lilly snack bag. 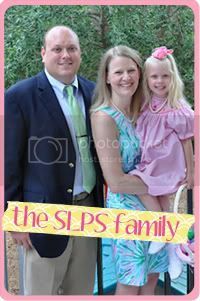 You and your daughter both look wonderful in your Lilly! Have a great day! Adorable pictures. Enjoy Lilly Day! Happy Lilly Day! You and your daughter both look too cute! 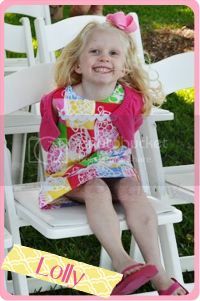 You and Lallie look absolutely adorable in your Lilly! You are so creative with you snack bags!!! 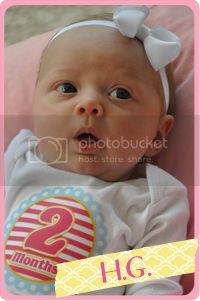 Love the photos - and I would love to order some more of those snack bags - especially in Lilly! HeyJennifer! I have just played catch up and LOVE all the pictures and seeing what all you have been up to! I can't believe Lallie's birthday is just around the corner! I would like to order a Lilly snack bag!!! Hope you're well! Have a great day! PS-I am so with you on the whole Martha thing and not liking to cook...it is painful for me too and really doesn't come naturally AT ALL. July 4th Dresses - Last Chance $10.00!!! 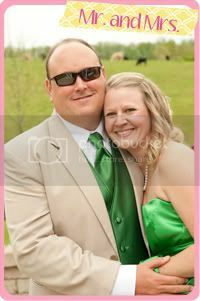 Pink and Green Birthday Party!